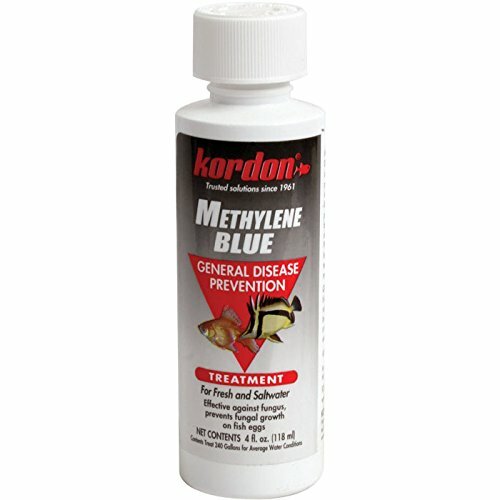 Another VERY cheap enhancement option related to lllt is methylene blue. They discuss the relationship between MB and lllt in this article MB is only $5 for an entire year! dam, this is interesting, I might give this a try. Its dirt cheap. bogv51 wrote: dam, this is interesting, I might give this a try. Its dirt cheap. also, it may need to be mixed with alcohol, I have found it doesn't absorb that well. The studies below show that MB was able to antagonize the effect of estrogen on prolactin, pituitary size, and dopamine levels. "...Methylene blue decreased anterior pituitary prolactin levels and inhibited increases in anterior pituitary prolactin after estradiol benzoate administration. The present results suggest that anterior pituitary DA may play an important role in estrogen-induced anterior pituitary hyperplasia and tumor formation and that antioxidant drugs such as methylene blue may attenuate estrogen-induced pituitary growth. This may occur via increases in anterior pituitary DA levels associated with down-regulation of anterior pituitary D-2 receptors." "...We found that the treatment with T3 or MB prevented both estrogen-induced catecholaminergic inhibition and dopamine DA-2 receptor increment in the anterior pituitary. In contrast to T3, MB given alone also slightly decreased the anterior pituitary weight. Serum levels and anterior pituitary content of prolactin were increased after treatment with estradiol benzoate (EB), whereas T3 or MB partially attenuated prolactin hypersecretion after estrogen administration. This is in accord with the attenuation of EB-induced inhibition of dopaminergic system by T3 and MB. MB given in combination with EB also partially attenuated EB-promoted rise of adenohypohyseal NO synthase activity which plays an important role in the regulation of prolactin secretion. Further studies on central catecholaminergic systems, pituitary receptors, the nitrergic system and mechanisms of intracellular signal transduction are necessary for better understanding of pituitary tumor transformation and possibly for the discovery of new approaches towards treating patients with these diseases." "...Male rats received estradiol benzoate in a long acting microcrystalline suspension (1 mg/rat i.m., twice a week), methylene blue (MB) 0.5% in the food and the combination of estradiol and MB. After three weeks, MB partially inhibited the growth response of the anterior pituitary to estradiol and it partially inhibited the increase of cAMP content in anterior pituitary. The increase of anterior pituitary cGMP content was not modified by MB, neither the ratio cAMP/cGMP in the anterior pituitary which, however, decreased after estradiol. This decrease was not modified by MB. On the other hand, the prolactin (PRL) increase in the blood after estradiol was inhibited by MB, although the prolactin content in the anterior pituitary was not." Im thinking about taking it orally not as a topical. You will get blue hair if you use it topically. more direct on the scalp though. Monoamine oxidase inhibitors (MAOI) are known to cause serotonin toxicity (ST) when administered with selective serotonin reuptake inhibitors (SSRI). Methylene blue (methylthionium chloride, MB), a redox dye in clinical use, has been reported to precipitate ST in patients using SSRI. MB was assessed for MAO inhibition and so for its potential to precipitate ST.
MB was a potent (tight binding) inhibitor for MAO A. It also inhibited MAO B but at much higher concentration. Interactions of MB with the active site of MAO A were confirmed by its action both as an oxidising substrate and as a one-electron reductant. MB is a potent reversible inhibitor of MAO A with implications for gut uptake of amines when administered orally. At concentrations reported in the literature after intravenous administration, MAO B would be partially inhibited but MAO A would be completely inhibited. This inhibition of MAO A would be expected to lead to perturbations of 5-hydroxytryptamine metabolism and hence account for ST occurring when administered to patients on SSRI treatment. Ok, the last paragraph seems quite bad in my opinion. I wonder what CS and other do think about it. It looks that MB is actually accumulating serotonin in your brain. However in most studies I have read they say that the problem occur only with some other serotonin agents (SSRIs for example). David Wolfe is making serious bank. Nothing wrong with capitalism. If Ray Peat was making that kind of dough, first thing he should buy is a hair transplant or good wig. Obviously methylene blue goes deep into tissue. I wouldn't be putting anything other than pharmaceutical grade into my system, certainly not aquarium supplies. Oh and I am in 100% agreement about SSRIs. Someone who is educated should be able to figure out how to balance neurotransmitters with having to resort to big pharma SSRI poison. plus he has no serious hair loss ideas, and he can't make money from methylene blue. you can buy it as a lab chemical if applying fish stuff is weird, but Spirulina/chlorella are also sold as fish food ?? actually peat does sell a progesterone supplement. not sure how much money he makes from it. lostfalco, who is greatly respected on longecity, implies you CAN use methylene blue instead of a laser, but he doesn't say it with great authority, rather implies it.
" I do know that MB enhances mitochondrial function far more powerfully than CoQ10. " simply put drops into empty capsules. This is so cheap and effective and comparable to things like coq10, I consider it a must. "While low-dose methylene blue and low-level near-infrared light may produce different pleiotropic cellular effects, both interventions cause a similar up-regulation of mitochondrial respiration with similar benefits to protect nerve cells against degeneration." It's not the same. LLLT is 110% harmless. Methylene blue is not; it has side effects, can't be taken with alcohol, must buy from some company you have never heard of off amazon etc etc. Can you explain why it cannot be taken with alcohol? any link for that ? I actually don't remember where I found the alcohol - MB reaction. However, my point remains that it has all the markings of a typical pharmaceutical drug. Side effects, inhibits enzymes, dangerous interaction etc etc. It is a powerful pharmaceutical that will force the body to do something it wouldn't normally do. I wouldn't advise people to set aside their harmless LLLT devices to start taking a powerful pharmaceutical instead. NDW wrote: I actually don't remember where I found the alcohol - MB reaction. However, my point remains that it has all the markings of a typical pharmaceutical drug. Side effects, inhibits enzymes, dangerous interaction etc etc. It is a powerful pharmaceutical that will force the body to do something it wouldn't normally do. I wouldn't advise people to set aside their harmless LLLT devices to start taking a powerful pharmaceutical instead. so are man made red lights ? Thread summary with research added and anecdotal research added.